Canada is one of the most favorite destinations for professionals working all around the world. In order to work in Canada, an individual should either have a work permit visa or a Canadian Permanent Residency Card. The Canadian Work Permit application is so time-consuming that majority of the skilled workers now prefers to apply for a Canadian Permanent Residency. Canada is actively seeking foreign workers and professionals to help grow its strong national workforce. 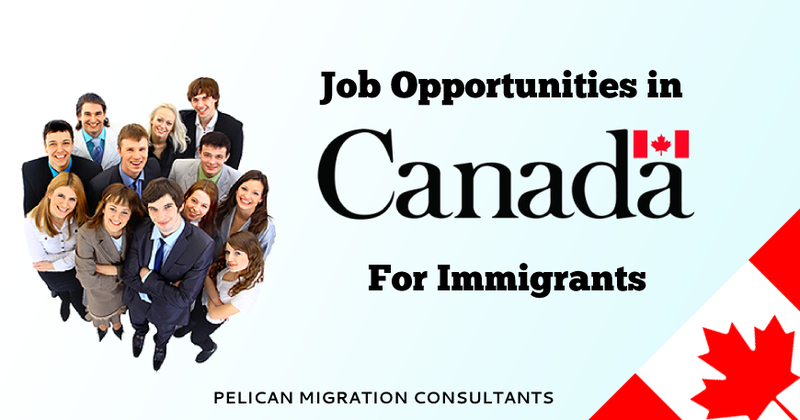 There are many job opportunities in Canada for immigrants. Pelican Migration Consultants help you to hassle-free immigration procedures. Our immigration experts are ready to assist you. Migrate to Canada with the help of Pelican Migration.